PADI Master Scuba Diver, PADI Divemaster, PADI Master Scuba Diver… sometimes it all sounds the same, doesn’t it? Divemaster’s help instructors teach scuba courses and can have leadership responsibilities that result in payment. Getting paid for scuba diving means you’re a dive professional. If someone is a PADI Master Scuba Diver, that means he or she has significant experience and scuba training. 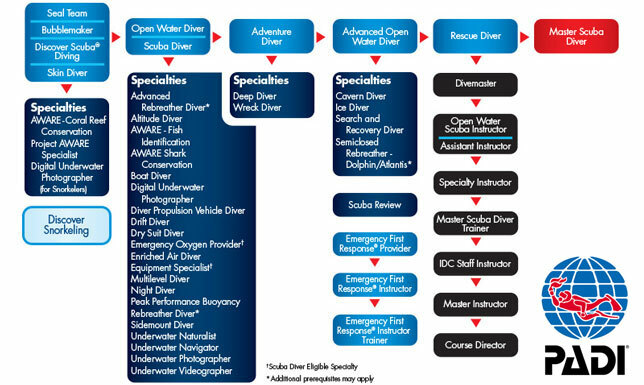 A PADI Master Scuba Diver is as far as you can go as a recreational diver, and PADI Divemaster is the first rung of the professional diver ladder.